A few years back I flew off to France with the Tin Box girls. It was the first time I’ve gone abroad with them on my own as Mr Tin Box couldn’t get the time off work – boo hiss to the Royal Navy! However, the chance of a bit of sun, French wine and relaxing after moving house was too good an opportunity to refuse. Flying solo – quite literally – spurred me to be super organised ahead of this trip. 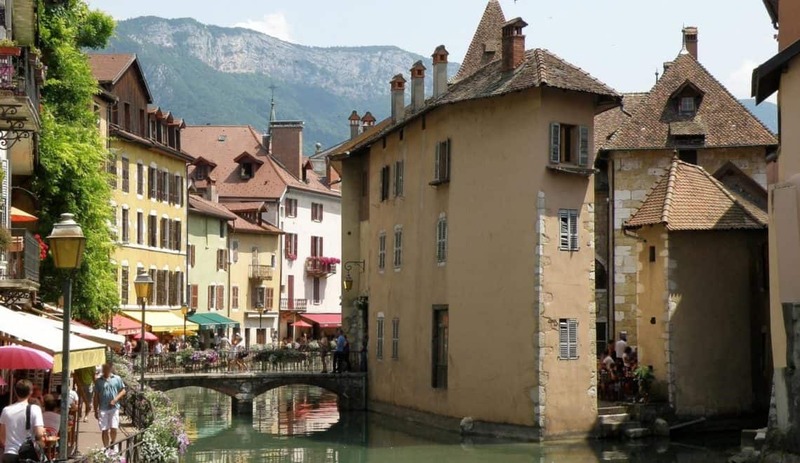 I put together a French holiday checklist with help from M&S Bank* and stuck to it rigorously. 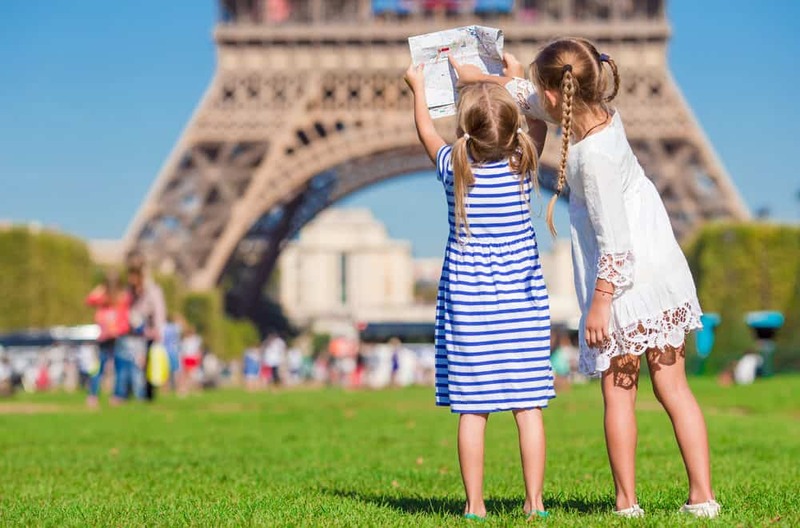 If you’re planning a family break in France, or looking for a family holiday checklist, this might help you tick off those all important pre-trip tasks. It’s always useful to have some local currency on you when you travel. So buying Euros was high on my holiday checklist, as was getting it from a place I trust. We’ve got three M&S Bank bureau de change within an hour’s drive of us in deepest South Devon. I decided to pop to the Plymouth branch so I could combine picking up Euros with shopping for other holiday essentials and some sightseeing. The whole process was simple and quick – just don’t forget your ID like someone did ahead of me in the queue. Another good thing about M&S Bank’s exchange rates are they’re set all day, so you can check online before you visit and know you’ll get the same deal in store. Next on my list was travel insurance. Our last annual policy has just expired. As we know we have no other plans to go abroad this year I opted for a single trip policy. Make sure you read all the options when you are applying for your insurance. It’s important you’re covered for the activities you plan to do and all the belongings you want to take. Last year we had to pay a little extra to cover our cruise and the possibility that Mr Tin Box’s job in the military might mean he was unable to travel. Top tip: if you get your currency from M&S Bank they have a 15% off travel insurance offer online for new policies. We hired a car so my hire company provided the necessary driving kit needed in France. If you are taking your own car to Europe then the AA have a handy download about what’s compulsory or recommended, such as high visability vests, warning triangles and breathalysers, all of which you will need in France. We stayed in an Al Fresco Holidays mobile home in the Vendee region, which means we were self-catering. I have a trusty self-catering packing list that I always refer to before this kind of trip but as we’re flying I’ll have to rationalise a bit. Thankfully the Al Fresco website has an inventory of what’s included in its caravans too. This means I knew what extra creature comforts I needed to pack, like a hairdryer. Doing a bit of research and getting in touch with your holiday provider ahead of your trip will save packing any unnecessary items. I always sweat about passports and European Health Insurance Cards being in date. Check these as soon as you book your holiday. EHICs can be applied for and delivered within a few days but passports can take a lot longer. Once I have all our personal documents, insurance details and travel itinerary, I take digital photos of them as a backup. We travel with first aid kits of varying sizes depending on whether we’re in the caravan, car or holidaying out of a suitcase. It’s surprising the amount of medical basics you can fit into something the size of a small makeup bag. On top of those basics, I like to pack a few other things I know will be useful when holidaying abroad. Sun cream and insect repellant are among these. Tin Box Baby has eczema prone skin so I packed Child’s Farm 50+ sun cream and Jungle Formula Kids. These are designed for children’s sensitive skin. Or, in my case, relearn it. I’ve never had an flare for languages but the French are a proud bunch (a bit like us Brits). I know having a stab at speaking the native tongue will make all the difference. I bought the girls, OK me, a Usborne First 100 words in French to remind myself of the basics. There was also a rather amusing conversation on my Facebook page about some the phrases I might need during our week. I think my favourite was: “Avez vous wifi?”. What’s on your family holiday checklist? And what tips do you have for me for travelling to France? Disclosure: this post was written in collaboration with M&S Bank. I’m also flying solo with my toddler in the next couple of weeks – really need to follow your tip of finding out what is included at our accommodation and figure out what we need to take – I’m hoping to go hand luggage only – eek! Great tips here! We drive through France often and I agree with all of these! We did! I have a lot to write about it very soon. Hair dryers are such a faff to lug around. I shared mine with my friend so we only had one between two caravans. I love a good list and I make one from scratch every time we go away. I’m not even sure why, it’s mostly the same stuff isn’t it? Have a wonderful time on holiday!! Yep, when it’s close to home you always let you guard down a bit. I know I do! All great tips! Sounds like you are very organized and prepared for this holiday! Remembering to check what comes with the accommodation is a great tip. I rarely bother to look, possibly as I don’t always trust them to actually provide everything they say they will, but it would certainly save a lot of space in our luggage! I’m a bit the same. Luckily our accommodation did have everything it promised and not anything unexpected that we had brought with us. Yes! Last time I forgot my own underwear!! I’m a huge fan of checking all the facilities and amenities that are included at our accommodation before we travel. I hate packing any unnecessary items. Yes, checking ahead is so worth it. I always get frustrated when my bag is full of things I don’t need. I am sure you will have an awesome trip! Can’t wait to see your trip recap and photos. Enjoy! I do love a good list! What a helpful one.. I haven’t been to France yet (never!) but would love to take the kids soon! It’s fabulous. I can recommend Paris, the west coast, the Ardeche, the south…pretty much everywhere! It’s so useful to have a few basics phrases in mind and is really appreciated, especially as English is such a common language – it’s nice to see people making an effort. Great checklist! I always check I have my passport, travel insurance and money done before I travel! Yes, those are the absolute essentials! Yes, the EHIC come so fast. I’ve been really impressed too. It’s a shame you can’t rely on passports coming as fast. However, the last time we got one for Baby it came in under two weeks. I’m so glad you’ve found it helpful. Have a great trip! Yes, it’s good to research rates and know you’re getting a good deal before you travel. I’ve been stung by cash machines abroad in the past. Luckily the bank I’m wth now doesn’t charge extra. we always have enough local currency to get from the airport to our lodging in a cab and immediate incidentals like a snack, some groceries, etc. Otherwise i think it’s better to get currency locally. Such a great list! It even applies to people without kids! Yes. It only cost £5 on Amazon and you can use your phone screen through it. tracy collins recently posted…A view from the past – 10 cities as you have never seen them before! Sarah Christie recently posted…Why Blogtacular 2017 Totally Blew My Mind, And A Few Blogging Lessons Learnt!